The Sign Says: Don’t Even Think About It! I couldn’t decide between these two photos for the latest photo challenge. 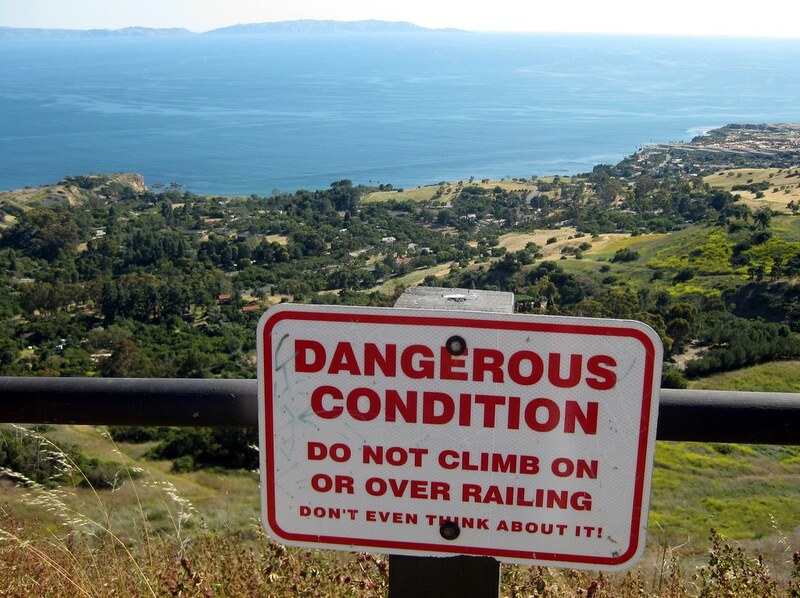 The first is a warning sign at the edge of Del Cerro Park in Rancho Palos Verdes. It’s a part up at the top of the hill, ending in if not exactly cliffs, a steep drop hundreds of feet down as the hills roll toward the ocean. 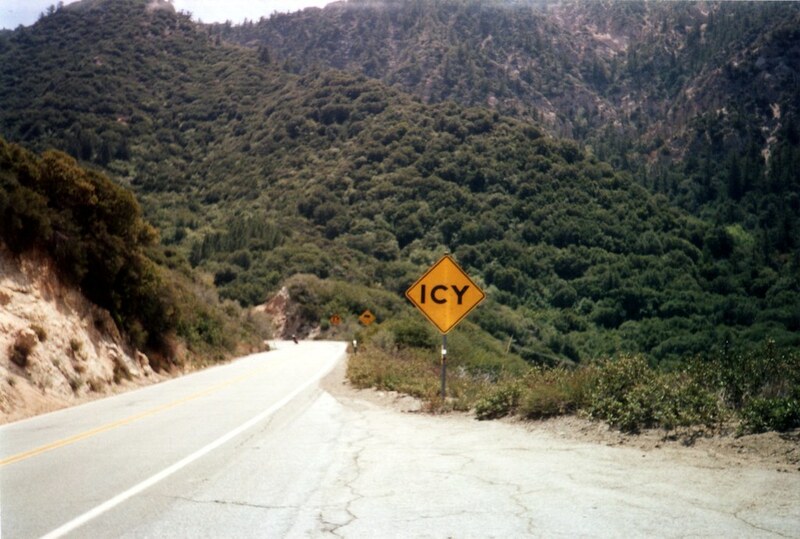 “Danger” signs are a dime a dozen. It’s the “Don’t even think about it!” that struck me as photo-worthy. 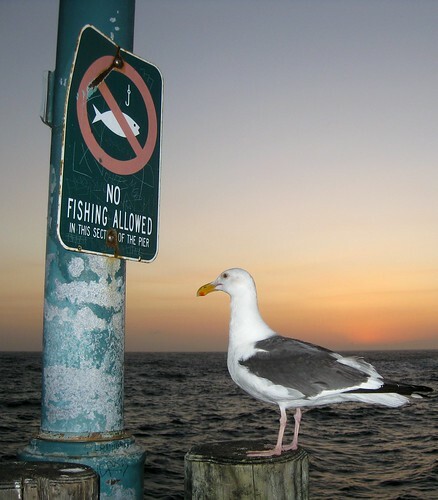 As for this second one, it’s not so much the sign that I found interesting as the fact that the bird looks like it’s staring at it, dismayed. I collect pictures of funny/odd/interesting signs at K-Squared Ramblings, so if you’re interested in more, head over there for a look.